OC Mom Blog: Are you prepared for the tween years? A new survey finds that the vast majority (87 percent) of students ages 8-12 years are anxious about issues ranging from new teachers and classes to forming friendships to keeping up with the latest fashion trends. I can totally agree with this study, after seeing my seven year old nervous about the fashion trends before starting school this year. To help ease some of the back-to-school tensions Ella was having, her Daddy took her to see Cody Simpson play at The House of Blues. Whenever we see our children feeling stress, we take time with them alone (without siblings) so they feel comfortable opening up and talking with us. Steve and Ella had a great dinner, listened to some great music and most importantly talked. One of the best gifts you can give your tween is time. Our lives will just continue to get busier and it's important to stop and remember what is most important: Them! Their bodies are changing and they don't understand why. Parents can help make the transition into the Tween years less stressful for our children. The online survey of 521 American children ages 8-12 years old and 521 American parents of children ages 8-12 years old was conducted July 12-19, 2011 by Kelton Research. While the majority of tweens harbor anxiety over back-to-school season, some of the primary stress-inducing factors are also the ones that get them most excited. This year, tweens are eagerly anticipating everything from making new friends (58 percent) to meeting new teachers (40 percent) and starting new classes (36 percent). Others are excited to join a sports team or theatre group (38 percent) or even mingle at their first co-ed social event (11 percent). Whether excited or nervous to head back-to-school, kids are especially anxious about their social lives come September, worrying they won’t make new friends (42 percent) or will get teased for the way they look (24 percent). Mothers and fathers also fear for their child’s evolving social life. About four in ten parents are concerned that he or she won’t fit in with certain classmates or make new friends, and will get teased for the way their child looks (33 percent). 12 year-olds admit homework is a stressful part of their day, while others have anxiety about classes (42 percent) and gym, especially having to change in front of others in the locker room (18 percent). More girls than boys say that having to change clothes in gym class is a stressful part of their school day. Fortunately, parents and their children have a positive dialogue about these concerns and aspirations. Nearly all (98 percent) parents talk to their children as back to school season draws near. Likewise, 61 percent of young children (more boys than girls) turn to their moms and dads for support when they’ve had a tough day at school, far fewer than those that confide in friends (19 percent). Perhaps keeping parental lines of communication open is why 78 percent of kids feel they are staying true to themselves, even if it is not the popular thing to do. For those tweens who try to be more like their friends instead of themselves, 70 percent admit that going back to school is stressful, compared to 49 percent of those kids who stay true to who they are. Nearly half of parents take the time to talk to their kids about his or her appearance, including what clothes to wear and what personal care products their child is interested in before the new school year starts. “It’s important for parents to develop a healthy hygiene routine with their children from a young age,” says Wiseman. “Simple advice such as daily showers and using deodorant can inspire confidence as kids start to experience the biological milestones of the tween years.” Survey respondents echoed this sentiment as about a quarter of students are interested in keeping up their appearance by craving beauty products such as shampoos and body mists (25 percent) or make-up (23 percent). 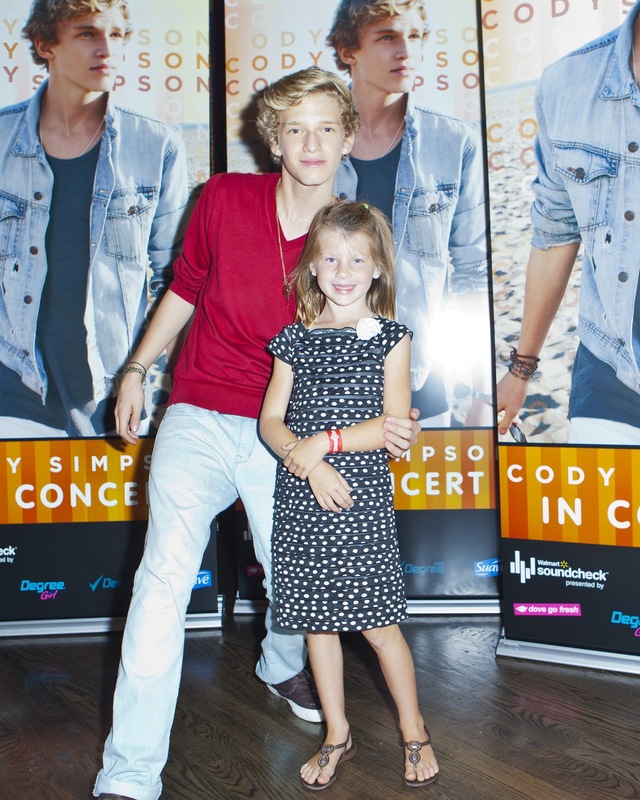 Steve and Ella were invited to watch Cody Simpson play at The House of Blues. All of our photos, thoughts and opinions are of our own. said in a separate survey that remortgage costs rose by 40. Putting your daughter on your remortgage will cost you £21. But minor drawbacks aside, this is not enough. The terms and conditions across the industry.